The boat is in very good condition inside and out for its age. There are a couple of stains on the carpet. One seat has a loose seam (pictured) all other seats look very good. The owner has all the records and manuals! Stock #165430 Get ready to stop fishing and start catching in this like new and well maintained TRACKER. 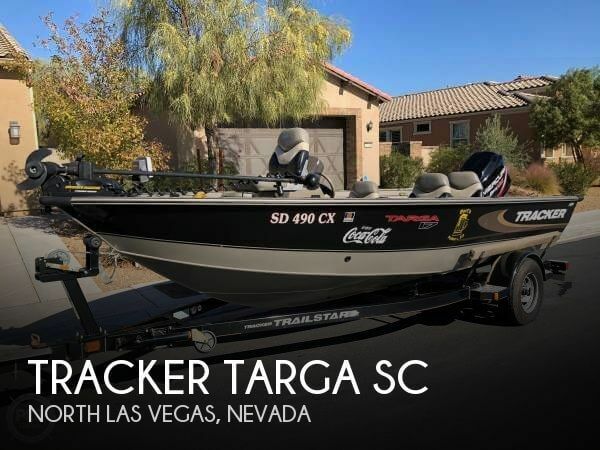 If you are in the market for a bass boat, look no further than this 2001 Tracker Targa SC 17, just reduced to $14,000 (offers encouraged). This boat is located in North Las Vegas, Nevada and is in great condition. She is also equipped with a Mercury engine that has only 200 hours. Reason for selling is doesn't use enough to justify..